Obama Says Guantanamo Prison Doesn't Help U.S. Security, 'It Undermines It' : The Two-Way The president calls the facility in Cuba "a stain on our broader record." The administration's plan to close the prison isn't expected to go very far in Congress. The administration's proposal is "not expected to go very far," as the Two-Way reported earlier today. Devised by the Pentagon, the plan outlines how a shutdown might work — something that was requested by Congress. But it comes months after lawmakers from both parties approved legislation that prohibits the president from moving detainees onto U.S. soil. "For many years it's been clear that the detention center at Guantanamo Bay does not advance our national security," he said. "It undermines it." The president added that this wasn't his opinion alone, but one that's shared by military advisers — and he said that the facility provides a recruiting and propaganda tool for terrorist groups such as ISIS and also hurts America's relationships with its allies. 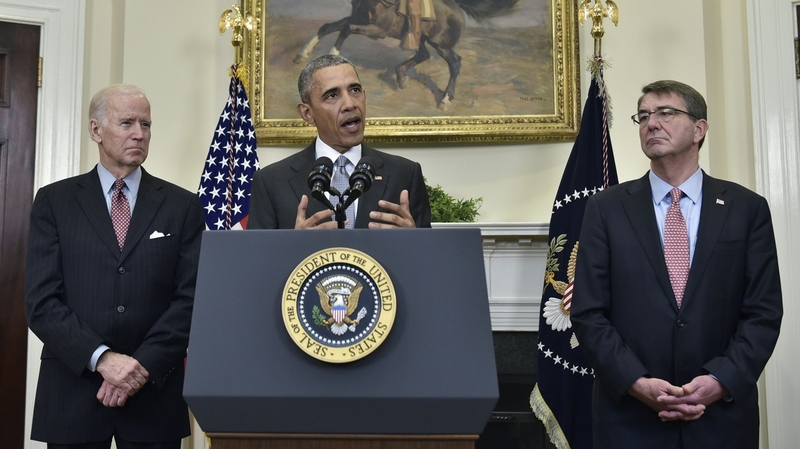 "Let us do what is right for America," Obama said, seeking to close a chapter in the country's fight against terrorism. Several times during his speech, Obama invoked his predecessor, President George W. Bush, noting that Bush oversaw the facility's use to house suspected terrorists — and also wanted to close the prison. Toward the end of his remarks, the president said, "I don't want to pass this problem on to the next president, whoever it is. And if as a nation we don't deal with this now, when will we deal with it?" The entrance to Camps 5 and 6 at Guantanamo Bay. Defense officials have been surveying sites inside the United States to see how well they might do as the new homes for Guantanamo detainees. 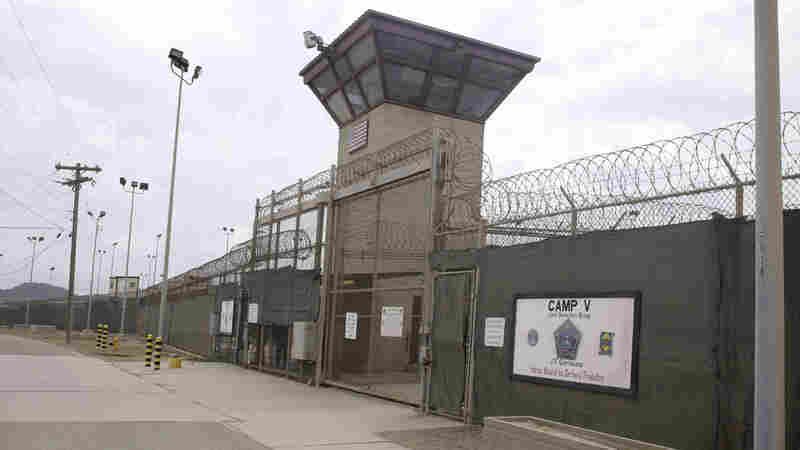 Responding to Obama's plan, the American Civil Liberties Union's executive director, Anthony D. Romero, applauded the effort to close Guantanamo — but he added, "his decision to preserve the Bush-created military commissions is a mistake." Romero also said that the president's "continuing embrace of indefinite detention without charge or trial will tarnish his legacy." NPR's David Welna, who just returned from a week covering military commissions at Guantanamo Bay, has visited two of the sites the Pentagon has considered.